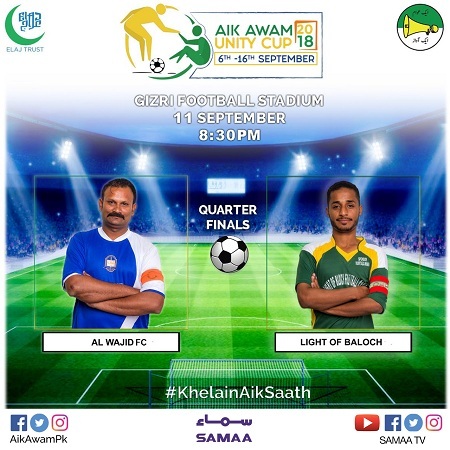 The quarter-finals of the inaugural Aik Awam Unity Cup will be played at Karachi’s Gizri Football Ground on Tuesday. 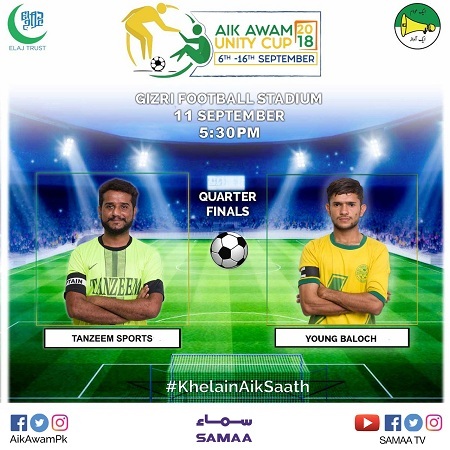 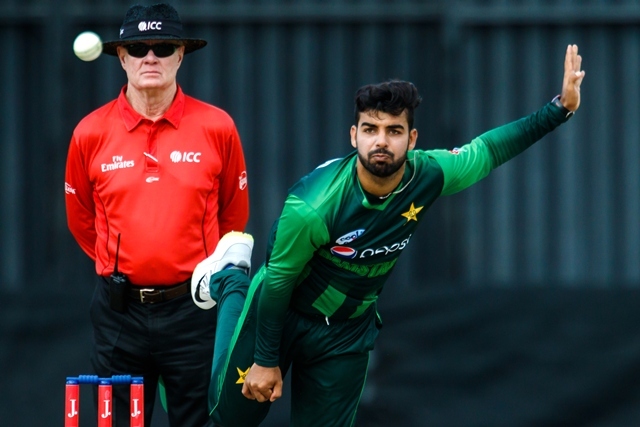 In the first quarterfinal, Young Meeran will face National Fighter at 04:00pm while Tanzeem Sports will take on Young Baloch at 05:30pm in the second match. 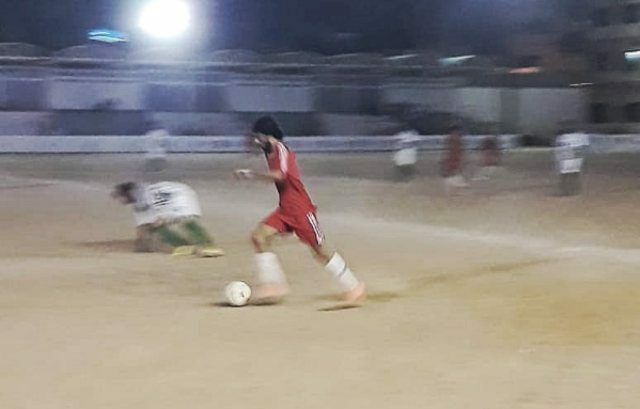 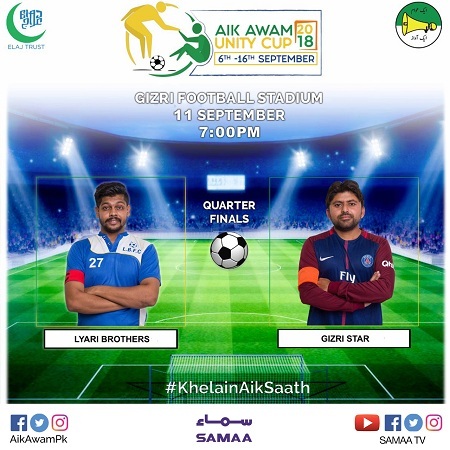 The third quarter final will be contested between Lyari Brothers and Gizri Brothers at 07:00pm and Al Wajid will square off against Light of Baloch at 08:30pm. 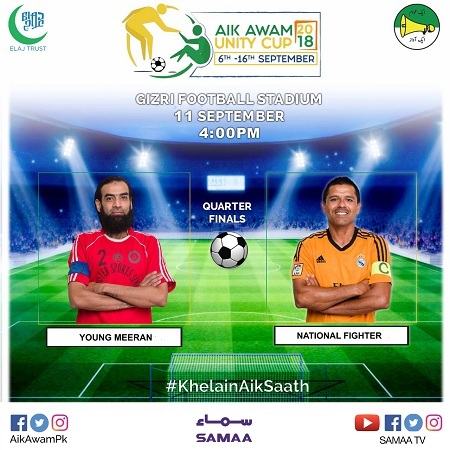 The Aik Awam Unity Cup is being organised by the Elaj Trust and Aik Awam Movement to commemorate the Defence Day and to pay tribute to the footballers of the country.